Bridging the Gap is fast becoming one of the must attend events of the year. 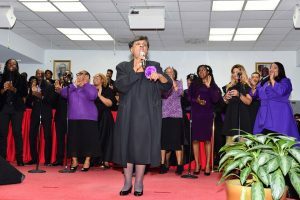 This year’s conference concluded with Rev. 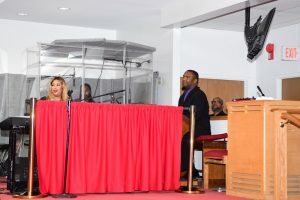 Dr. Jerome Bell held the “Bridging the Gap-Generations” live recording at New Macedonia Baptist Church in Washington, DC on Saturday, October 20. 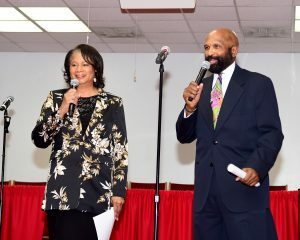 Broadcasting giants, Jacquie Gales Webb and Winston Chaney served as hosts for the evening. 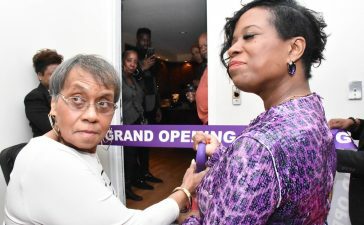 Jacquie Gales Webb and Winston Chaney both extolled Bell’s accomplishments and chronicled how he rose through the ranks of radio under the famed Lucille Banks Miller who would take the young Bell with her and encouraged his singing. 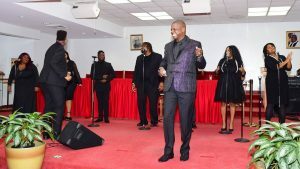 His early start coupled with his time in the high school chorus and the skills he honed as a gospel music industry insider prepared Bell for this very moment in time. Bell’s wife, Lady Tonita Bell and his mother beamed in the audience as they anticipated what lay ahead for the night. 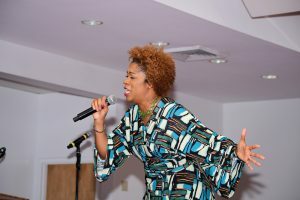 Prior to Bell taking the stage, the audience enjoyed the vocal stylings of singer and author Tammy Padilla who offered one of the most lyrically sound renditions of the Contemporary Christian song, “Holy Spirit.” Padilla is definitely one to watch! Bell brought together many of the DMV’s finest artists and musicians for the recording. Stephen Key and Company, Jimmy Russell and Because of Christ, Ryan Vincent Ford & Ministry, Victoria Purcell Coan, Ronnette Harrison, Robert E. Person, Pastor Jeremiah Murphy, Dr. Emory Andrews & Faith, Chester Burke & Company, Bonita V. White, Anthony ‘Tony’ Walker, Phillip Carter and New Macedonia Mass Choir all played pivotal parts in the well-orchestrated recording. Andre Jones served as music director of the phenomenal band. Maharold Peoples took the reins as producer. 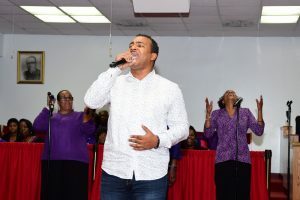 Some of the many highlights of the evening included Pastor Jeremiah Murphy and Dr. Emory Andrews joining Bell on “Victory in the Name of Jesus” which was penned by Murphy. 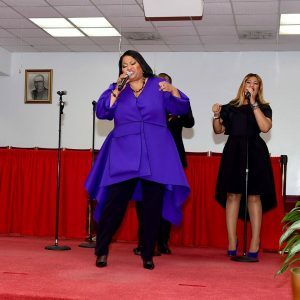 The ever-versatile vocal powerhouse Victoria Purcell Coan was featured on “Everything Must Change/Jesus Forevermore.” “Stay Up on the Wall” got the room swaying with its Caribbean beats. 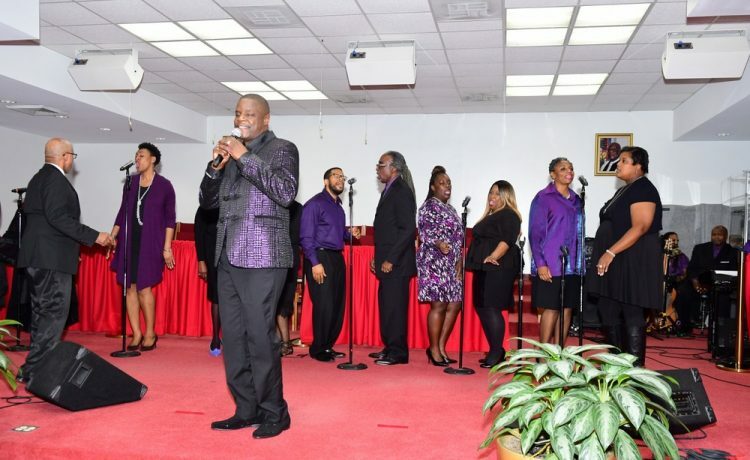 Not forgetting his roots, Bell went back in time with old-school medley, “Best I Can Do”/”Oil in Your Vessel/”Look Where He Brought Me From.” Ronnette Harrison took the keys and Phillip Carter took his place at the organ for this stroll down the gospel memory lane. True musical forces of nature, their dexterity on their respective instruments transformed the atmosphere into one reminiscent of a good old camp meeting, that included the standards, “I Don’t Know About Tomorrow” and “I Need Thee” rounding out the set. 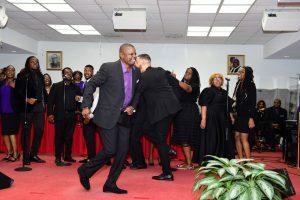 Chester Burke and Company brought the fire, backing Bell on the explosive “He Covers Me.” The song seems destined to be one of the breakout hits in a crowded field. Bell and Burke were at near combustible levels in their delivery as they seemed to progressively go higher and higher as they drew on each other’s energy. As the atmosphere continued to remain charged, Bell was overcome with emotion and began to sing the words that were spilling from his heart, “His Word Is True.” He settled there for a while, subsequently calling on his friend Péguy Nanette from Guadeloupe to put a beautiful French twist on this song that was birthed in the moment. After “Saith the Lord,” Bell stepped to the mic and poignantly recalled the last time he spoke with his friend, gospel great Edwin Hawkins. He told the legend that he wanted to re-record his classic, “Oh Happy Day.” Hawkins gave his approval and said he wanted to be there. Unfortunately, Hawkins died the following week. Staying true to his promise to his friend, Bell chose to record the classic as it was originally intended. 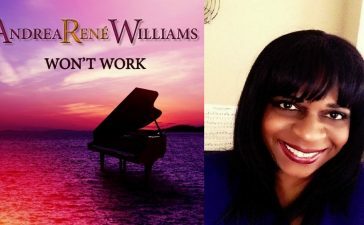 He chose Bonita White as soloist and she was more than up to the challenge delivering a performance that would certainly have been Hawkins-approved. 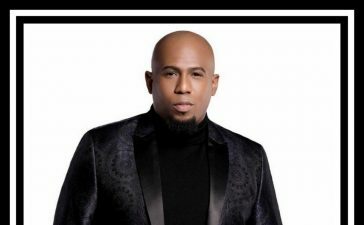 White, who Bell called a legend is a stalwart in the DMV gospel music world and is a member of the celebrated group, Patrick Lundy& the Ministers of Music. to share in the success. 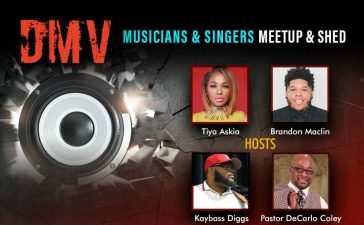 Spotted in the audience were Shirley Berkeley Patrick Lundy, Mike McCoy, Shirley Ables, Kendall King, Lindsay Slaton, Anthony Slaton and a host of the DMV’s finest gospel artists. “Bridging the Gap-Generations” has meticulous arrangements, pristine production and beautiful vocals which makes the wait for its release an exciting one. We’ll be waiting! © 2018, PositivelyGospel. All rights reserved.